Hello, I’m Scott Martin the owner of Go Pro Ponds a division of Mr. Waterfalls . We have recently added new services. We now services ponds, pond-less waterfalls and the repairing of water features. We have been landscaping business for almost 20 years and since 2007 we have dedicated our time to understanding, repairing and treating water features. 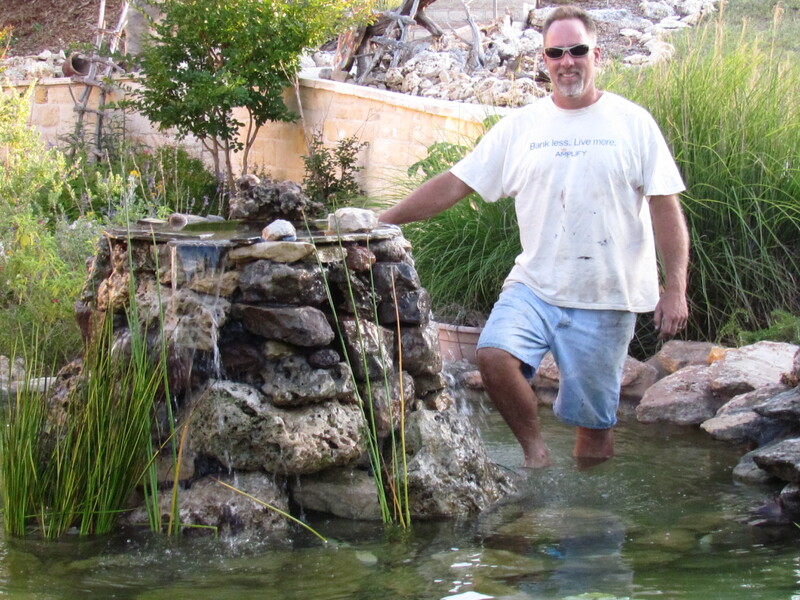 We are very talented at what we do and our creativity and pricing is what is making us one of Austin’s top pond installers. We do offer local consultations as well as long distance consultations. We are not a free service but we will refund the consultation fee back into the water feature if our services are excepted. I am the owner, designer, installer, machine operator, secretary, website designer and advertiser. Read More.